If you bang your knee on a table, sprain your ankle on the basketball court, or are dealing with post-operative soreness, what is one of the first things your reach for to relieve your pain? ICE!. Ice is a popular modality to help treat injuries because it helps relieve pain. Physical therapists will often recommend ice as a way to supplement your rehab process. At our Cary NC physical therapy clinic, we also think that it’s important to teach our patients how to use ice efficiently at home, so we don’t have to spend a lot of time in clinic performing a treatment technique that the patient can successfully complete at home independently. So here are 3 different tips on how to use ice therapy at home to treat a variety of injuries. Commonly recommended for injuries like plantar fasciitis, this method combines the benefits of ice and compression for pain relief. All you need at home for this treatment is an empty plastic water bottle, water, and a freezer. 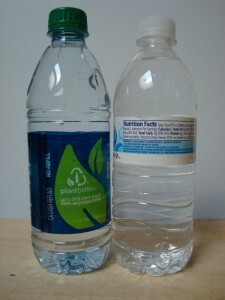 After you freeze the water bottle, you can use it to roll out muscles and fascia that are painful. Remember that your skin and other soft tissues are susceptible to injuries when in contact with cold temperatures for prolonged periods of time, so limit each treatment to 15-20 minutes. This method works best for lower extremity injuries like calf strains and plantar fasciitis. This is a great way to combine ice therapy and cross friction massage. I commonly use this for tendinopathies like tennis elbow and biceps tendon strains. I recommend always having 1 or 2 frozen Dixie cups in your freezer just in case. 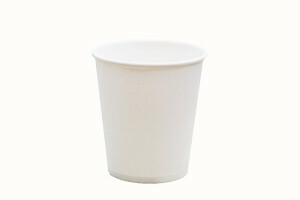 In order to use this treatment, fill a Dixie cup with water and freeze it. Once it’s frozen you can take it out of the freezer, rip off the top portion of the Dixie cup so the ice is exposed, but you still have the bottom of the paper to use as a handle. Rub the ice over the painful area in a perpendicular direction to the tendon. If you need help figuring out the tendons direction, ask your physical therapist. For other areas of the body, where you just need a simple ice pack, save yourself some money by using this at home remedy. Larger freezer (1 gallon) bags can be used on larger areas of the body like your back, while smaller bags (1 quart) can be used on quads or hamstrings. Remember to place a towel between the ice pack and skin for safety.